between Yahuwah and His people. 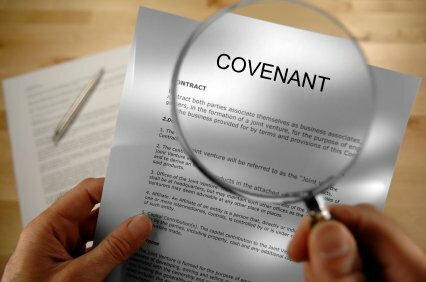 The Sabbath is a “perpetual covenant,” an everlasting agreement, between Yahuwah and His people. It is the sign which distinguishes Yahuwah’s faithful followers from the rest of the world. Not just any day is the Biblical Sabbath, “but the seventh day is the Sabbath of Yahuwah your Elohim.” (See Exodus 20:8.) Many Christians worship on Sunday in honor of the resurrection. They call Sunday “the Lord’s day” and believe that the seventh-day Sabbath was “nailed to the cross.” Yahuwah’s divine law is perpetual. Yahushua kept the Sabbath when He was on earth, and so did all of the apostles and early Christians. Yahushua claimed ownership of the seventh-day Sabbath when He stated: “For the Son of Man is Lord even of the Sabbath.” (Matthew 12:8, NKJV) The real “Lord’s Day” of Scripture is the seventh-day Sabbath! Because the true Sabbath is a specific day, it is vitally important that the correct method of time-measurement is used to calculate that precise day. Throughout history, different methods of measuring time have been used. In Africa and South America, weeks of three and five days were used. Egyptians and the French Republic used solar calendars with weeks measuring ten days in length. 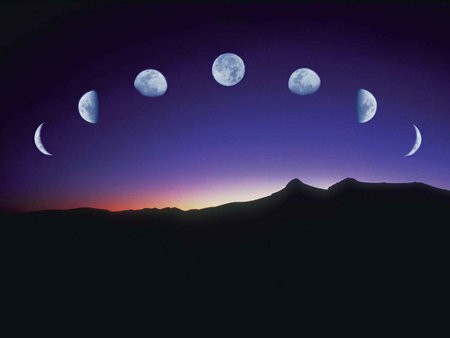 The modern Islamic calendar is a lunar calendar based solely on the movements of the moon. 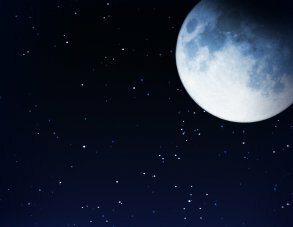 The lunar year is shorter than the solar year, so Ramadan appears to float backward through the Gregorian calendar year. The Gregorian calendar is based on the length of time it takes the sun to complete one circuit in the firmament of heaven, from one equinox to the same equinox. It is a solar calendar. There is nothing wrong with measuring time using any of these methods. They all measure time, just in different ways. Similarly, the metric system uses meters and the Imperial system uses yards: both systems still measure length. Time measurement can use different methods as well. However, the true seventh-day Sabbath is a specific day. In order to find that precise day, a specific method of time-calculation must be used. A man told to go to the “seventh house on the right” will be unable to find the correct address if he is on the wrong street. He must first be on the correct street before he can begin counting to the seventh house. The only method of time-keeping that reveals the true seventh-day Sabbath, is the luni-solar calendar of Creation. Only the Biblical calendar can accurately calculate the precise day that is the sign between Yahuwah and His people. And David said to Jonathan, “Indeed tomorrow is the New Moon, and I should not fail to sit with the king to eat.” . . .
Then Jonathan said to David, “Tomorrow is the New Moon; and you will be missed, because your seat will be empty.” . . . Since the Biblical month begins with the New Moon, the weekly Sabbaths are intrinsically linked to the moon. New Moon day restarts the weekly cycle. Yahuwah created the lights in the heavens for the express purpose of calculating time. The word “seasons” comes from the word mo’ed. Psalms reinforces the fact that the moon was created for the specific purpose of calculating “seasons” or mo’ed. New Moons are tied to seventh-day Sabbaths throughout Scripture. They are in a special class of worship day all by themselves. The annual feasts are also inseparably linked to New Moons because it is impossible to calculate them on anything except a lunar month. New Moon day was a time of recommitment to Yahuwah. No commerce was performed on New Moons. Backslidden Israelites were often impatient of the restraints which religious observances placed on their business activities. Because each lunar month begins with New Moon day, the dates of each lunar month always fall on the same days of the week. New Moon day is the first of each month. It is followed by the first day of the work week on the second of each month. Seventh-day Sabbaths fall on the 8th, the 15th, the 22nd and the 29th of each lunar month. This is illustrated throughout Scripture. Because the weekly cycle restarts with every New Moon, it appears that the lunar Sabbath “floats” through the Gregorian week. In reality, it is the Gregorian months that float through the very consistent format of the lunar months. When the Creator designed His perfect method of time-keeping, He used both the sun and the moon to construct an accurate and beautiful calendar: the luni-solar calendar. The moon regulates the months; the sun regulates the years. Saturday is a counterfeit of the true seventh-day Sabbath. The Gregorian calendar is a solar calendar. It uses only the sun as its basis of time-keeping. New Moons are not even noticed on the Gregorian calendar. They certainly are not used for determining the seventh-day Sabbath. While any calendar may be used for counting time, only the combined action of both the moon and the sun in the luni-solar calendar of Creation may be used for determining Heaven’s holy mo’ed: the weekly seventh-day Sabbath and the annual feasts. Satan declared that he would change “times and laws.” (See Daniel 7:25.) He has done this by leading the world to unite in using a counterfeit system of time-measurement: the solar Gregorian calendar. Yahuwah states: “I am Yahuwah, I change not.” (See Malachi 3:6.) The Sabbath is as binding today as it was at the end of Creation week when He “blessed the seventh day and sanctified it, because in it He rested from all His work which . . . [Elohim] created and made.” (Genesis 2:3, NKJV) Throughout all of eternity future, everyone loyal to the Kingdom of Heaven will continue to worship the Creator on His calendar. The calendar then used to calculate the Sabbath will be the luni-solar calendar. New Moons and seventh-day Sabbaths will once again be a time of rejoicing and thanksgiving when one harmonious stream of love and gratitude will flow from a united Creation back to the source of all love, all joy and all happiness: Yahuwah the Creator.